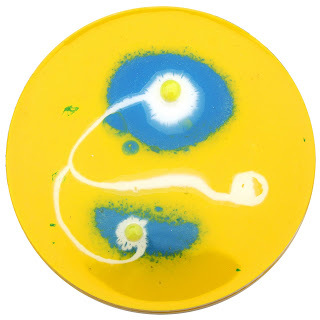 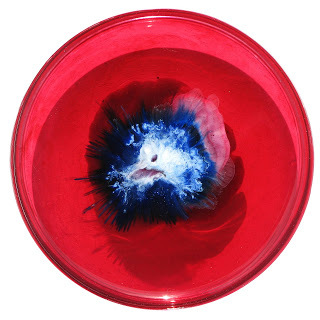 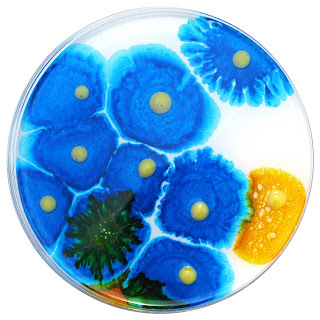 Klari Reis' work looks like standard fare at an average science lab, but she uses a new media plastic called epoxy polymer to create these "cultures" in actual petri dishes for her current project, "Hypochondria." 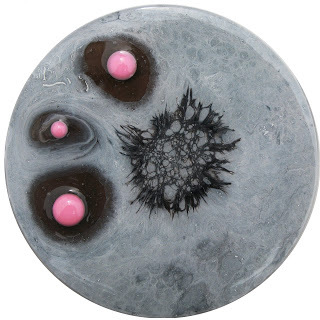 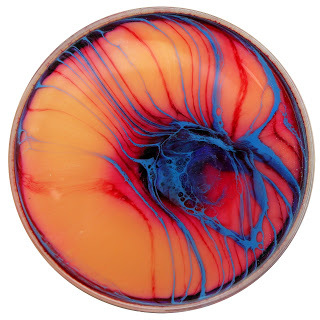 The epoxy polymers interact and collide with one another creating unpredictable reactions and designs that resemble microscopic cellular structures or bacteria. 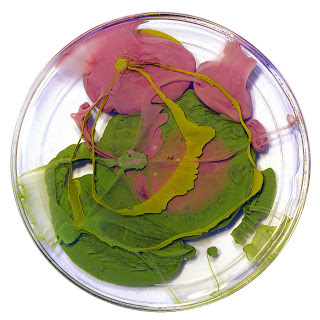 In fact, Reis uses organic cellular imagery from biotech companies in the San Francisco Bay Area as a model for her work. 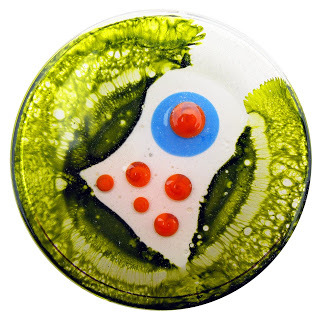 She is creating a petri dish every day of this year. 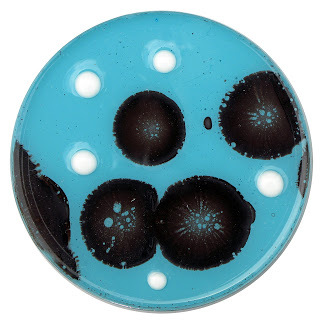 See all of them at her blog, The Daily Dish, linked below.